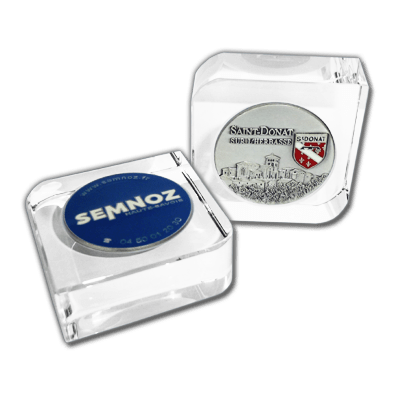 This charming small paperweight made of crystal glass combines the transparency of the glass and the silvery reflections of your 35mm customized medal. 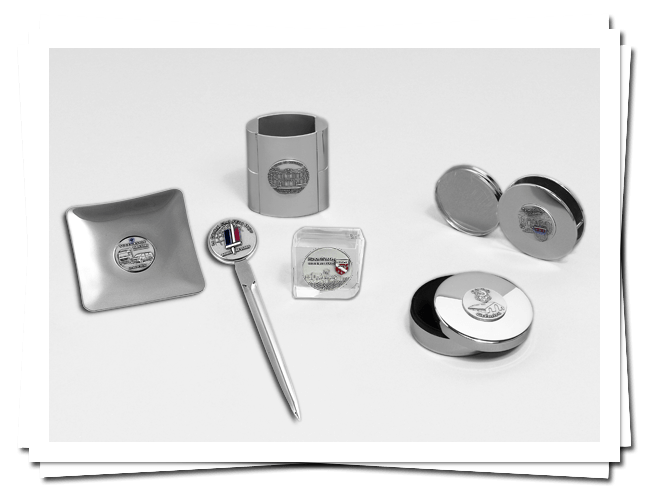 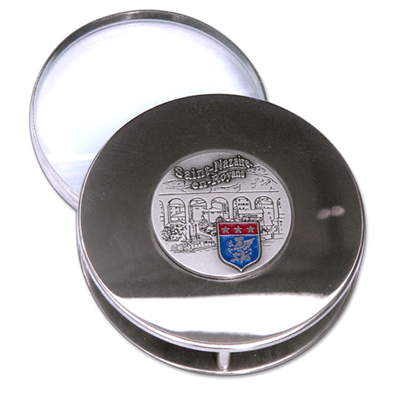 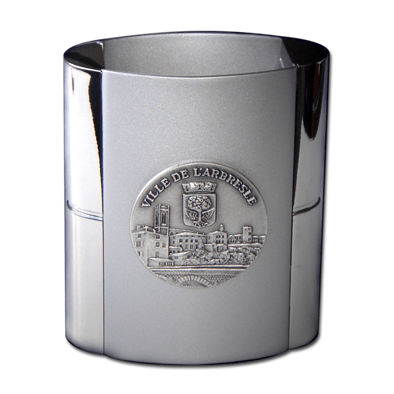 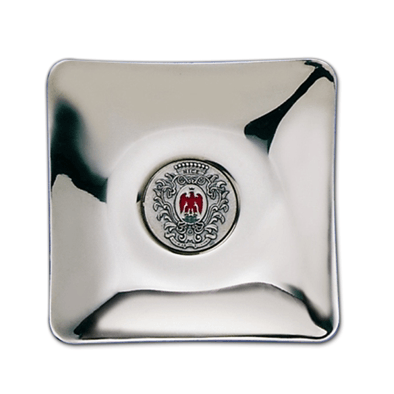 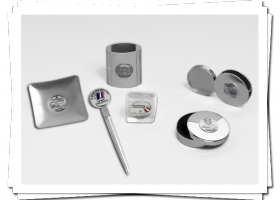 A modern design for this nickel plated storage item which highlights your 35mm (1.4″) customized medal. Its 35 mm (1.4”) customized medal turns this very useful letter opener into a decorative piece as well. 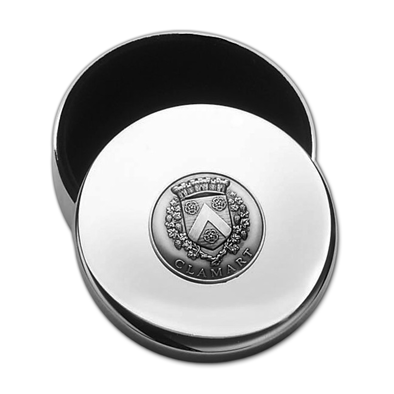 A simple and elegant look and many uses for this round box, nickel plated with an inside liner in blue velvet. 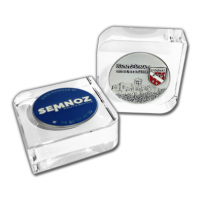 No colour allowed on the customized medal because it requires bending! 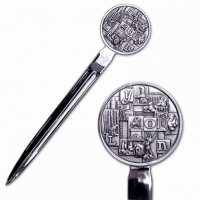 Combining mat and shiny details, this pen holder nicely presents your 35mm (1.4″) customized medal. With a 70mm (2,75″) diameter, this nickel plated magnifier can be kept within easy reach on your desktop.